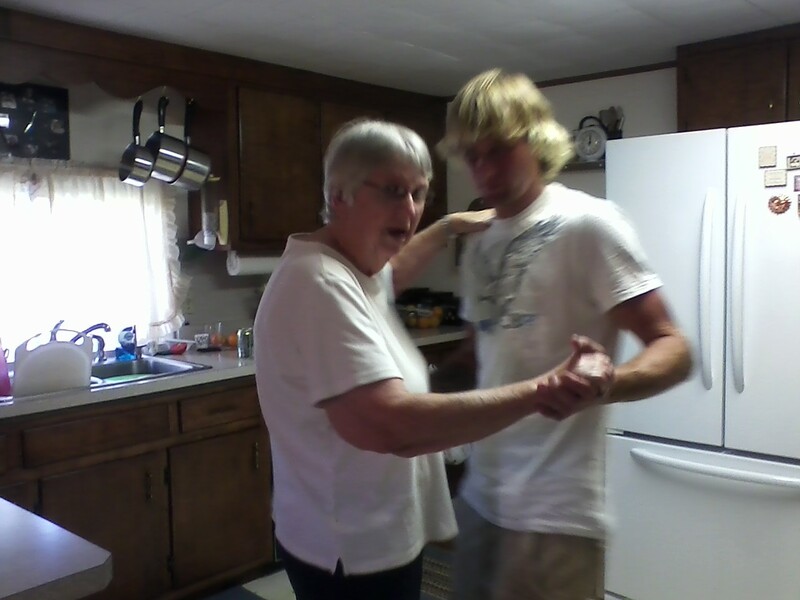 Last night my daughter Kimber asked Gram to teach her and Garrett how to dance for their wedding reception. I was surprised when, after a little coaxing, she got into it wholeheartedly. Could it have been the bottle of wine we opened over dinner (first time ever)? Mom used to frequent the dance venues as a young lady and had no lack of partners. 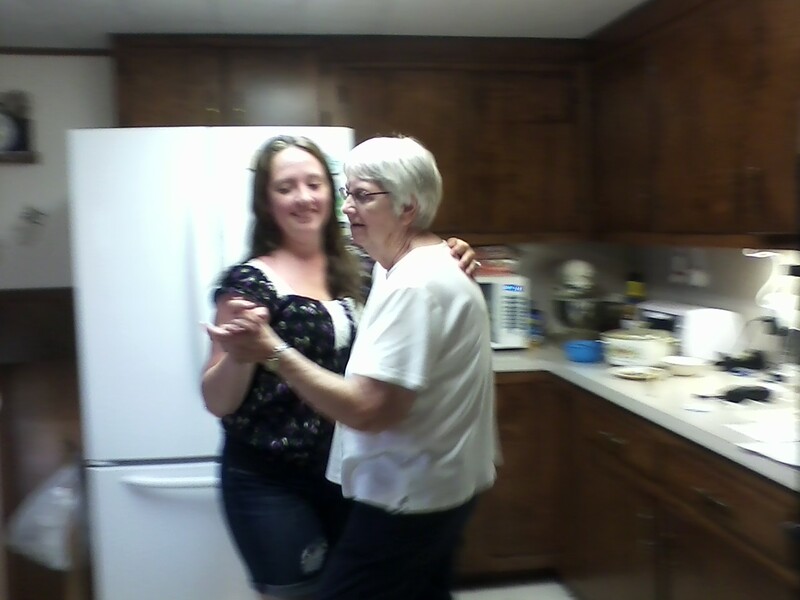 In fact, she met my Dad at a square dance. 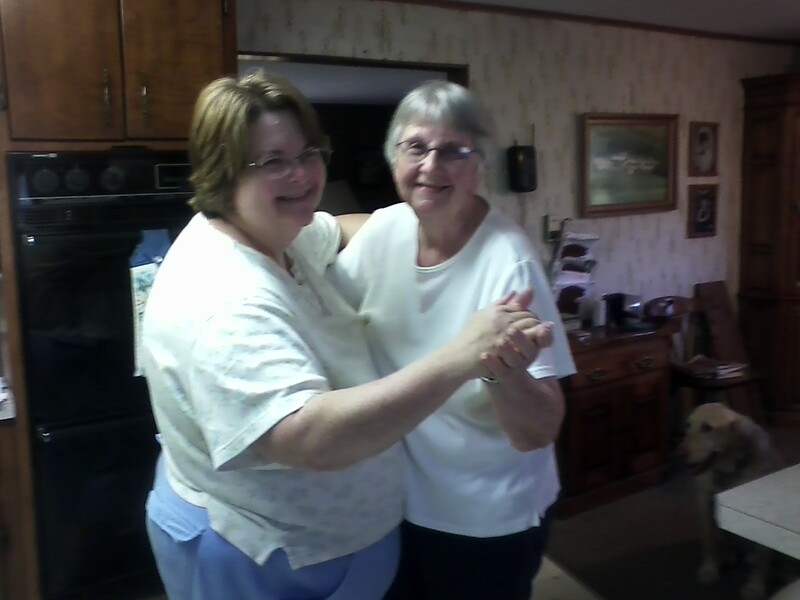 When we 3 kids were little, we loved to jitterbug with Mom. She'd pull us in close, push us away, then twirl us around! We'd giggle and wait for our turn.